Restaurant: FIG, (Food Is Good), is a local neighborhood eatery located in the heart of downtown Charleston, serving seasonally-inspired cuisine with a commitment to using local and sustainable foods. 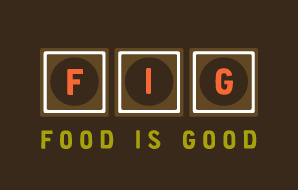 FIG has a passion for pure flavor, quality ingredients, and for creating an atmosphere that is convivial, approachable, and a haven for people who simply love food. Warm hues, soft lighting and an unexpected quirkiness encourage guests to settle in, get comfortable, and have a great time. FIG has been consistently voted “Best Restaurant in Charleston” by Charleston City Paper readers and continues to be a favorite local destination. Chefs: Mike Lata is Chef/Partner of FIG Restaurant, which he opened in 2003 with Partner Adam Nemirow. A native New Englander, Mike started his culinary career at an early age, working in kitchens in Boston, New Orleans, Atlanta and France before landing in Charleston in 1998. Mike is a hands-on, self-taught chef who continues to delight making the most basic things delicious, creating food that is bright, uncomplicated and understated. Nominated in 2007 and 2008 for “James Beard Best Chef: Southeast,” Mike took home the award in 2009. Lata’s most recent culinary adventures include a classic oyster bar and seafood hall—The Ordinary—in the heart of the Charleston’s Upper King Design District. Jason Stanhope is FIG’s Executive Chef. Stanhope pursued a culinary degree at Le Cordon Bleu, San Francisco and fell in love with the kitchen immediately. While on a vacation to Charleston, Stanhope fell for the city and its rich epicurean history, and decided to move East and join the team at Mike Lata’s acclaimed FIG. Chef Stanhope has worked his way through the kitchen, starting as chef-tournant to his current position of executive chef, which earned him the James Beard Foundation Award for Best Chef: Southeast in 2015. Butter: This is my first restaurant that doesn’t show the actual butter, and I love it. A few years back, FIG hired local design firm, Stitch, to design new collateral and knick-knacks for the restaurant, and one of their projects was a butter overlay, letter pressed with a few of the different icons they used in other materials. FIG staff serve this butter at room temperature with the overlay on top.